講題：台灣是南島語族的起源嗎？ Is Taiwan the homeland of the Austronesian-speaking people? 講題: 大洋洲的文化政策、節慶與表演藝術 "Cultural policy, festivals and the performing arts in Oceania"
發表主題：別有一番「牽絆羈纏」：東亞和太平洋地區的基督宗教 The Other “Ties That Bind”: Christianity in East Asia and the Pacific. Rapanui is the world's most remote inhabited place, the furthest east of the great Austronesian migrations originating in Taiwan centuries ago. The Rapanui arrived with an Eastern Polynesian religious practice, adapted it to their remote environment and in the latter pre-contact days, transformed their worship to symbols of climate change, the arrival of migratory birds in the Austral spring when the word (Orongo) went out to the island that another cycle of life had started. Missionary Catholicism arrived in 1864 and forms still the core of syncretic beliefs, with numerous other Protestant sects of recent arrival. This syncretism is demonstrated by the myth of why Rapanui changed from being the world's most isolated place prior to 1966 to its position now as a focus of some 50,000 tourists every year. "Myth" is used here in the Malinowskian sense of a "charter for belief". 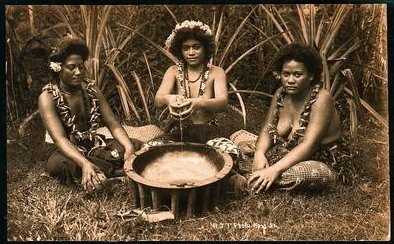 Rather than see the development of Pacific societies with a static map on their oceanic continent, this paper argues that we must look realistically what the late Epeli Hau'ofa called the "sea of islands" and their ever evolving cultures. 講題:跨界與跨越的行動主體：2007蘭嶼達悟大船划向台灣紀事 The Subjestivities in the Crossover Action: A Critical Note for the "Keep Rowing Project" from Lanyu to Taiwan, 2007. Falling Off the Map: Global Issues from a Regional Perspective. ﻿﻿﻿Japan’s position of territorial contender in Pacific area. Mapping the regional boundaries and security systems in the modern (post-WW II) era.